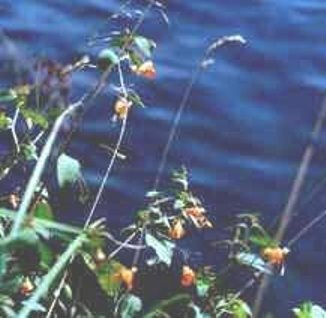 Found beside canals and some rivers - notably chalk streams and other rivers whose levels do not change very much in times of heavy rainfall - this annual is an import from North America, which has become naturalised in parts of southern England and Wales. 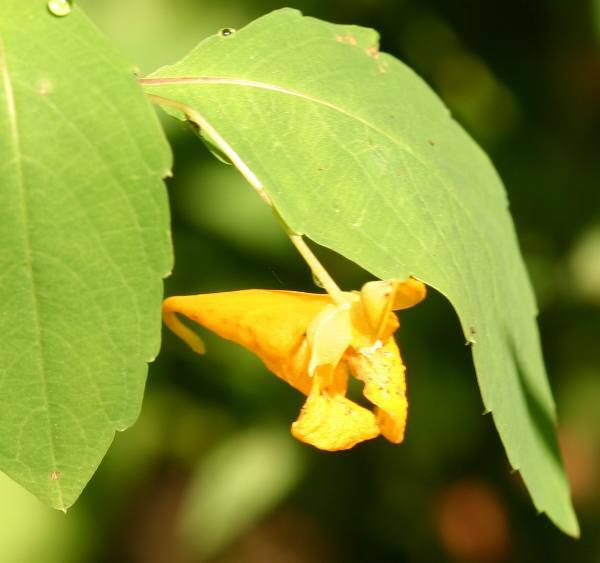 The red-spotted orange flowers appear in July, and the plant continues blooming into September. Unlike Himalayan balsam, this is not an invasive weed and is uncommon in most parts of Wales. There are occasional patches of this pretty plant beside the canal at Llangollen.